The weather in New York goes from one extreme to the other. 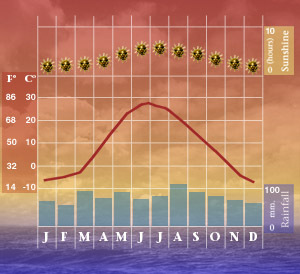 In the summer the temperatures can become almost unbearably hot and humid, whereas in the winter it is often bitterly cold, with considerable amounts of snow. Travellers are always advised to check the New York weather forecast before travelling to the city.